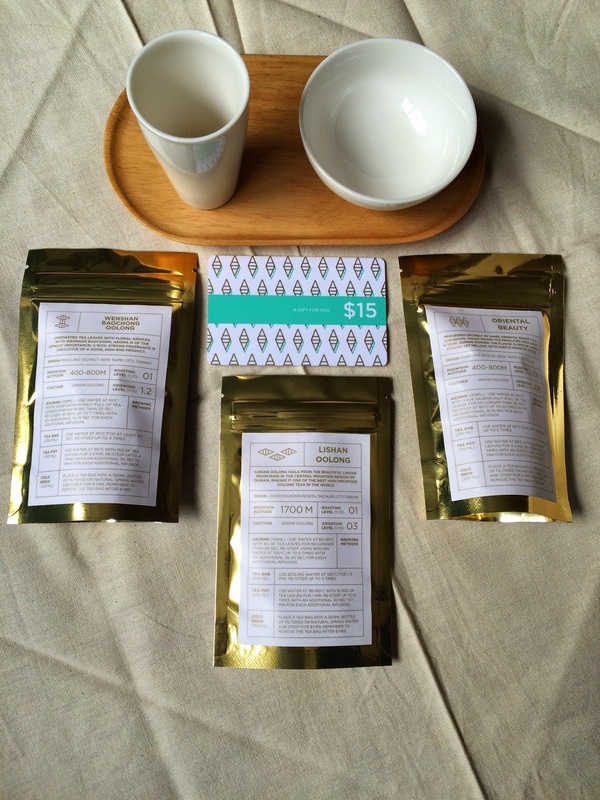 The review package from Tea Ave included LiShan, Oriental Beauty, Wenshan Baochong oolongs. 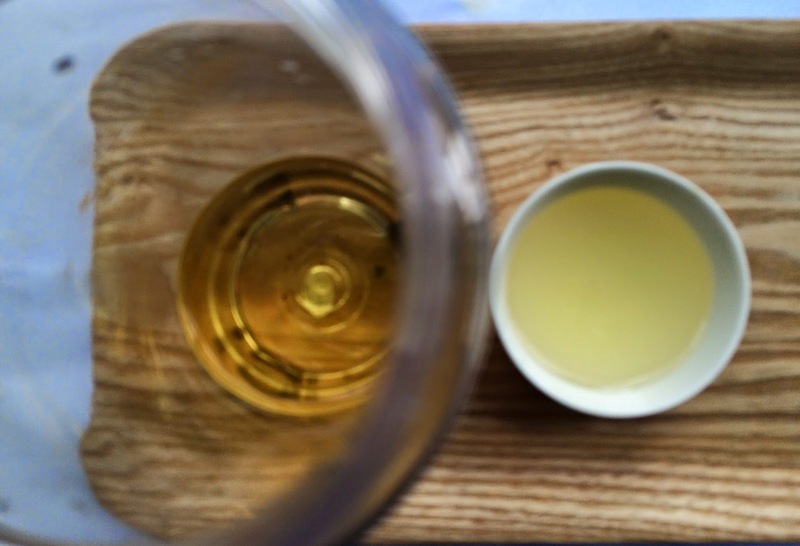 I reviewed the LiShan last week and today I present my notes on the Wenshan Baochong, a new-to-me oolong. After the review, I'll also announce the details of a Tea Ave Oolong Giveaway, but don't skip past the tea review! 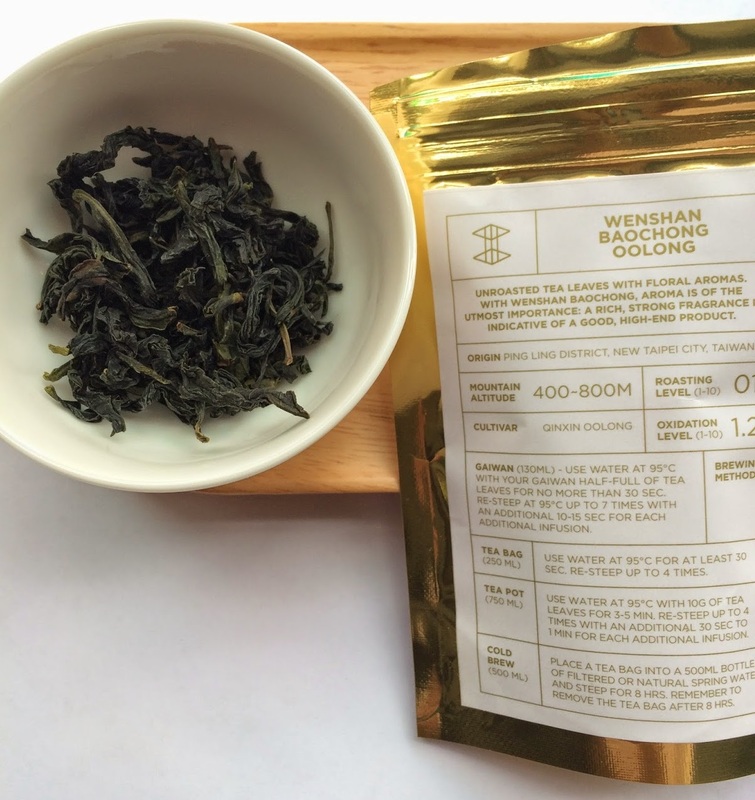 Wenshan Baochong is an unroasted oolong with twisted, not rolled, leaves. This particular Wenshan Baochong is the Qinxin cultivar from Ping Ling District in New Taipei City, Taiwan. To start, I followed the gaiwan instructions but filled my tasting set, not my gaiwan, half full of dried leaves which was the entire sample of this oolong. I infused the leaves for 30 seconds at approximately 95 degrees C. (I poured boiling water into a pitcher and cooled it down for 1 minute before pouring it into the gaiwan.) The aroma from rinsing the leaves was heady, very creamy. The liquor from the 30 second infusion was brightly colored. It tasted bright too and further sips revealed spinach and asparagus and lots of Easter lilies. The second infusion was 40 seconds in length and I think the water was too hot. There was a strong astringent flavor but as the liquor cooled this disappeared. The third infusion was 50 seconds in length and I got the temperature just right. (I waited 1 minute after the water boiled before pouring it into a pitcher then I waited another minute before pouring the water over the leaves.) The wet leaves smelled like flowers. The liquor was smooth with heady floral notes and a hint of dryness. For the fourth infusion, I steeped the leaves for 60 seconds. The aroma of the wet leaves reminded me of bok choy! I used a longer steep time of 80 seconds for the fifth infusion. The directions recommend increasing your steeping times by 10-15 seconds for each infusion. According to the gaiwan instructions, the Wenshan Baochong can be steeped up to 7 times. I started drinking the tea fairly late in the day so only steeped the leaves five times before placing them in a cold infusion bottle overnight. The resulting brew was refreshing and flavorful. I think I prefer the cold brew method for this oolong. It is kinder the floral complexity of this tea. If oolong tea can be chic, Wenshan Baochung is it: sophisticated, refined, unctuous (save it for your fanciest friends—or for yourself). Tea Ave generously sent me two oolong kits, one of which is the prize in this giveaway. The kit includes three samples of oolong (LiShan, Oriental Beauty, and Wenshan Baochong), an aroma cup set, a tote bag, and a $15 gift card for a total value of $100. Enter to win using the Rafflecopter below. There are seven ways to enter and the first two options give you the most points. Good luck! P.S. Read more about Tea Ave and its founders, Heidi and Jeff Chen. I love oolong teas! They're simple yet complex at the same time. I'm so new to oolong tea, to be honest. I have only had one oolong tea in my life, back in high school, & it was a bottled, fruity oolong, & that is all that I can remember. But it was so so delicious! Hopefully this is an acceptable response to your question. My favourite oolong right now is Jasmine Oolong from Teavana. One of my brothers bought it for me for Christmas and it's so calming and delicious! Oolong is fascinating and this looks like a great new company. I want to try them all! I don't have a favorite but would like to try them. I love all kinds of Oolong teas. These look wonderful. My favorite oolong is the one I got from Song Tea & Ceramics -- the Winter Sprout. My current favorites are Wuyi and Phoenix oolongs, but I want to learn more about Taiwanese oolongs ASAP. Tie guan yin and red robe oolong are my current favorites. I love dragon pearl tea!